A.C.E. 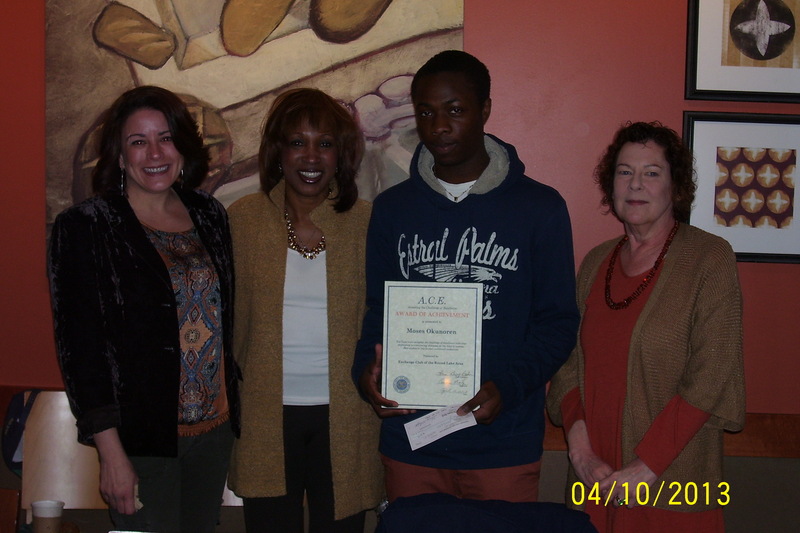 Award: The committee of Dr. Collins, Lorrie George-Baskin and Jeanne Kearby selected Moses Okunoren of Grayslake Central High School as our 2012-2013 winner. Ms. Noel Mercure came with him; she had been his counselor this past year. 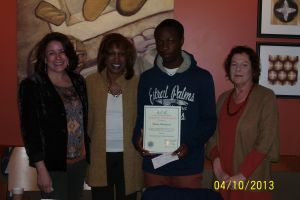 He received a certificate and a check for $300. We will submit him for the District competition. 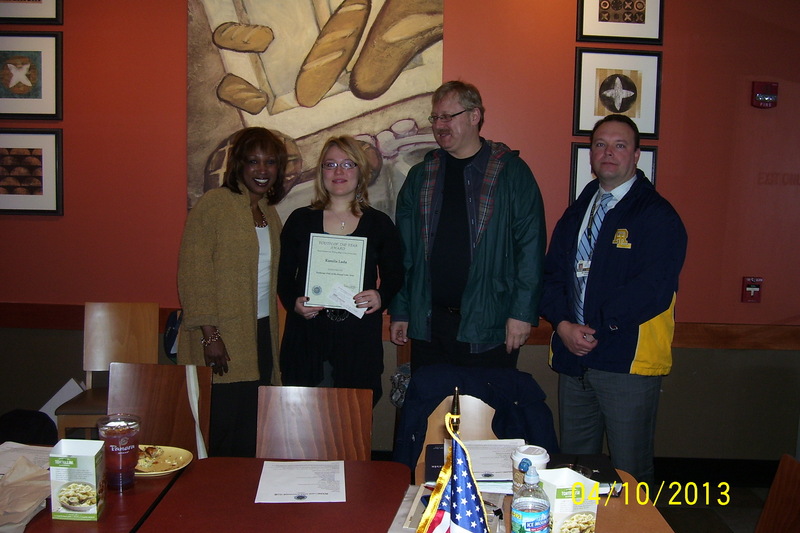 Youth of the Year: Miss Kamila Lada who was our November, 2012, Youth of the Month was selected as Youth of the Year. She was accompanied by her very proud father. She very graciously accepted a certificate and a check for $250. After pictures were taken the students and entourage went to school. Both awards were presented April 10th, 2013. Congratulations to our winners!! !